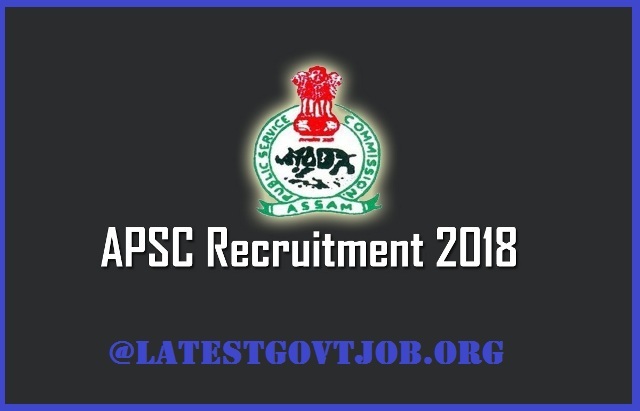 APSC Recruitment 2018 For Forest Ranger 50 Vacancies | Apply Online Via LatestGovtJob.Org : Assam Public Service Commission (APSC) has released a notification for the recruitment of 50 Forest Rangers. Interested candidates may check the vacancy details and apply from 03-03-2018 to 04-04-2018. Application Fee: General/UR candidates have to pay Rs. 250 and SC/ST/OBC/MOBC candidates have to pay Rs. 150 through full Head of Account "Non tax Revenue, OTHER NON TAX REVENUE 0051 PSC, 105 STATE PSC Application fee receipt of Assam Public Service Commission".